Did you know that you can get a FREE photobook? If you create a photobook and then choose to share with professional printing you can get a FREE 6×6 Photobook. Just use code BK6FRE on the ordering page and you can get a FREE book! What’s even better about this deal is that you can also share this offer with your readers. Purse Cards that you can use for tea parties, bridal showers, baby showers, baby announcements: the possibilities are endless what you can do with these cute cards. They even work great as a fun dress-up for little girls. Now, all of MyMemories Friday Freebies will be MyMemories Suite V3 Compatible. What does that mean??.? It means that you can now load the freebies directly into your MyMemories Suite V3 Software, and then completely customize them with any paper and embellishments that you have. 3. Now you can print and enjoy the provided template, or customize it with your own papers and embellishments. TIP: You can right-click on the white guide and lock it in place to keep it from moving while you are working. Make sure this is the top layer of your project before printing. Instead of adding the paper as a background paper, you can add it as an embellishment so that you can move the paper around. This is especially useful when using papers with stripes or circles, so you can decide which part of the paper you want to use. Once it is added as an embellishment, you can now select the paper and move it into the position you want it. Just SAVE and PRINT on cardstock! I finally can finish a layout today. 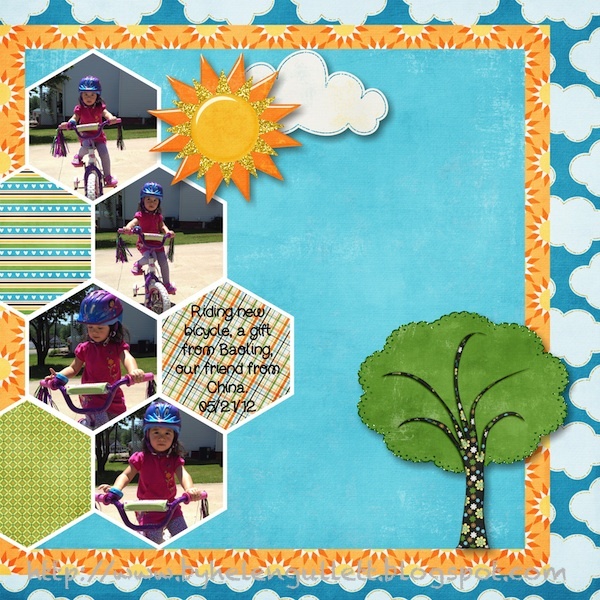 This time I did this layout and submitted for Trixie Scraps Designs Speed Scrap Gallery (check out the forum and challenges here). Tracy, a.k.a. Trixie, hosted this Speed Scrap yesterday evening on her Facebook page. 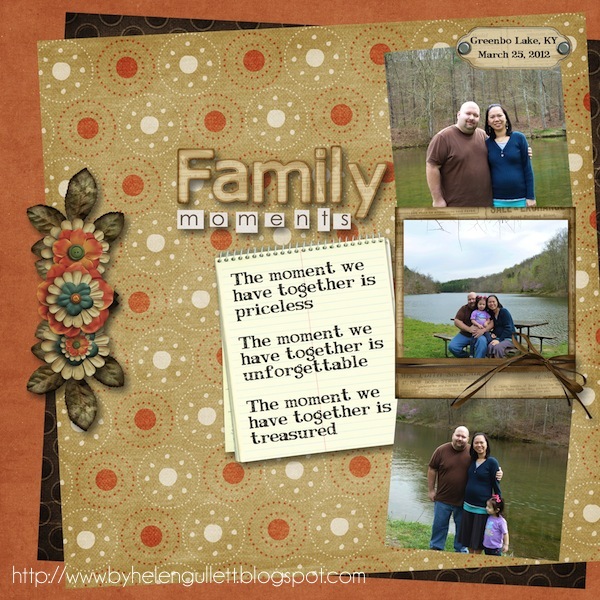 This time I used Quality Time kit from her store, check out more of her collection here. Software that I used to make this layout is My Memories Suite V3. 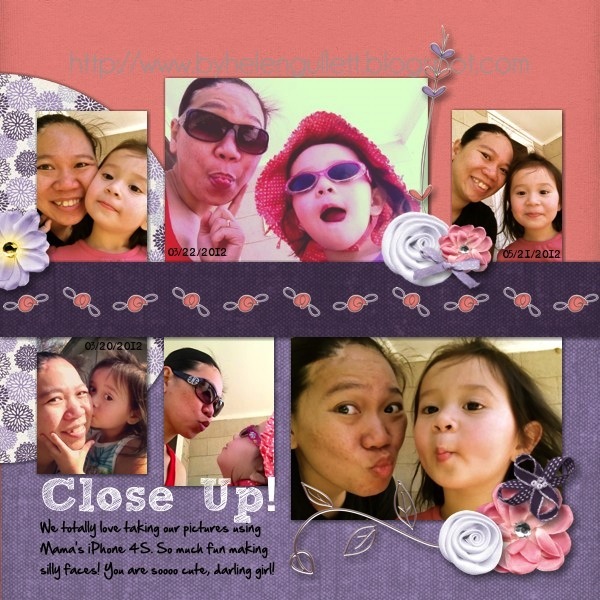 This is an awesome and super easy software for digital scrapbooking I ever used! This software can do many things that Photoshop/Photoshop Element can do, and way cheaper! You can try the MMS for FREE before you buy it! You will find out by yourself what you can create with this software. Moreover, you can get $10 OFF with my special code STMMMS3393 (sensitive case, just copy and paste the code when you check out). PLUS you will get $10 gift certificate to the online digital store! How’s that for saving money? Today I’d like to share with you something that YOU CAN DO IT BY YOURSELF, creating your own custom blog header. Isn’t that awesome?! You can design it as you like it, as perfect as you want, that fits to your own blog. How can you create a blog header? It’s EASY and FUN!! Kit: Spring Chic, by Mye De Leon. Check her store to see her collections here. Font: Cheri (download here for free). Kit: Spring Chic by Mye De Leon, Font: Cheri. This software is way EASIER and CHEAPER compare to Photoshop or Photoshop Element. It can do most of what Photoshop can do. Don’t believe me? Here’s a FREE TRIAL that you prove it by yourself. Use this special Code: STMMMS3393 when you check out. 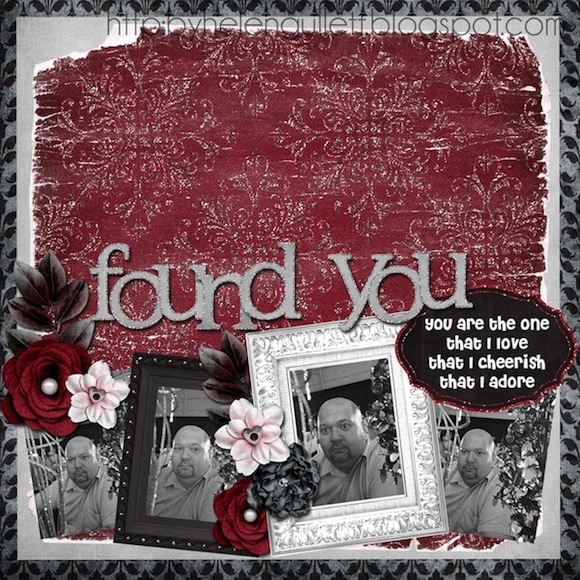 When you find out how easy, fun and amazing what this software can do to create your digital scrapbook layouts, you can get $10 OFF by using my special code: STMMMS3393 (it’s sensitive case, you can copy and paste the code when you check out). PLUS you will get $10 gift certificate to the online digital store! What are you waiting for? Let’s create some layouts and have fun with My Memories Suite V3!